The Bard Medical Red Rubber Bardia Catheter - 22 FR are radiopaque with a round, hollow tip and have two opposing drainage eyes. 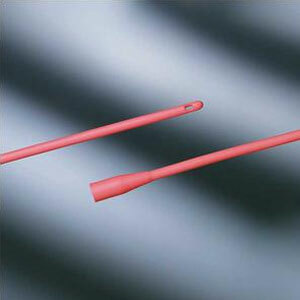 The Bard Medical Red Rubber Bardia Catheter are radiopaque with a round, hollow tip and have two opposing drainage eyes. They can be used as a Robinson or a Nelaton catheter. Radiopaque, with a round, hollow tip. Use as Robinson or Nelaton catheter. Contains 1 Bard Medical Red Rubber Bardia Catheter - 22 FR.